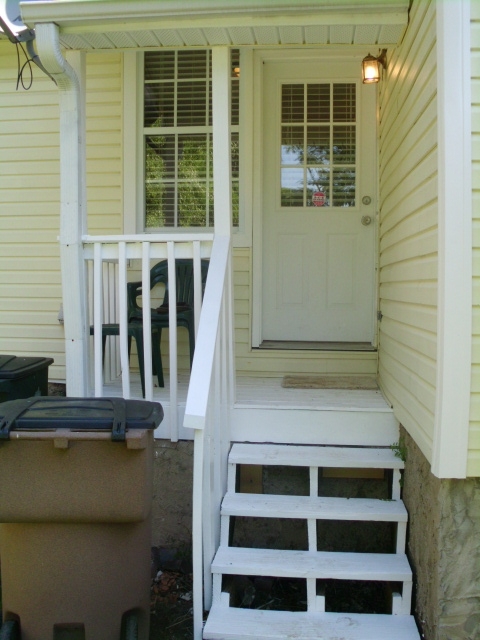 Staircases seem to always be a part of Nashville Tennessee Home Inspections completed by HABITEC Home and Building Inspections, LLC. In older homes staircases can present a problem when it comes to dimensions. Look at the picture below. Does this look OK? HINT: You are looking down the staircase leading to a basement in a house about 100 years old. The pic below is a closeup of the stairs while standing in front of the stairs in the basement. ANSWER: It is hard to know for sure without using a tape measure, but these stairs are very steep and therefore present a falling hazard. 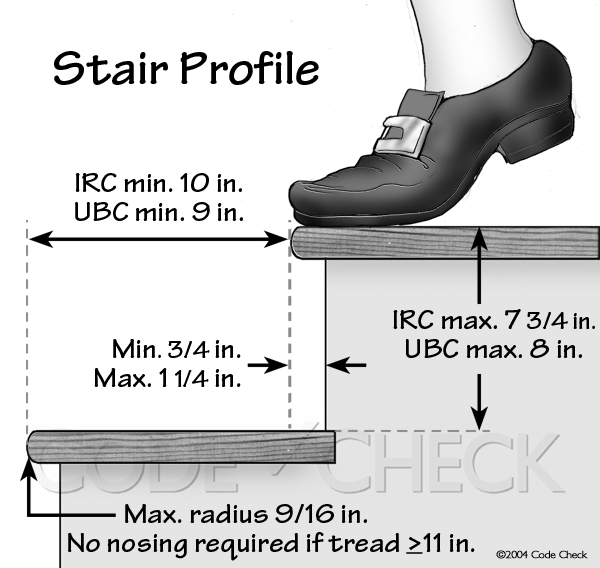 Look at the pic below to see the measurement of the step rise. Almost 9 inches! The pic below shows the step run, or horizontal measurement. Less than 8″! 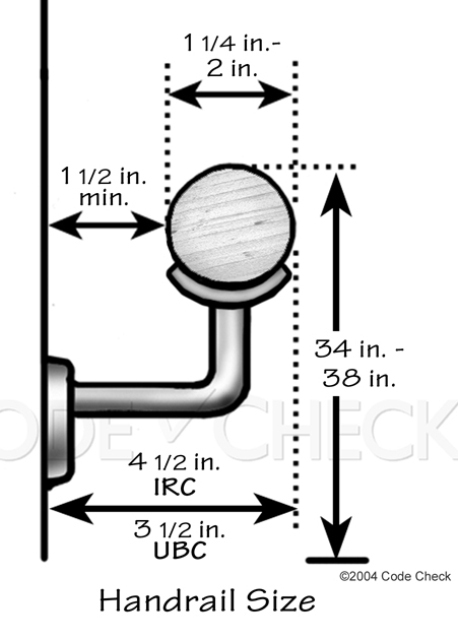 Proper step rise and run dimensions are shown below in a drawing from Code Check. Most municipalities use IRC numbers. In this staircase, both dimensions are wrong. If either measurement is inadequate the Client for the Home Inspection needs to know because this presents a safety hazard. When both dimensions are wrong, this is a serious falling hazard. So the answer is NO, this is not OK.